Look through all our announces or contact our consultant to organise an individual visit to our campus - we will be glad to take you on a tour of the school’s grounds and tell you about our educational programmes in detail. International programme for anyone planning to develop a business and build his or her career in Russia. Breakthrough entrepreneurial part-time programme that provides practical tools for accelerating existing projects or starting new businesses. Intensive programmes dedicated to developing individual and professional competencies and available in short-term and modular formats. Don't worry, we're here to help! Ask our consultant or just leave your name and email - we will contact you within 24 hours. Unique educational solutions aimed develop the pool of high potentials in the company and help them to achieve the company’s strategic goals. SKOLKOVO corporate programme conducted for the RosAtom corporation was named as a EiP 2016 Silver winner in the domain of Organisation Development. EFMD is recognized globally as an accreditation body of quality in management education with established accreditation services for business schools and business school programmes, corporate universities and technology-enhanced learning programmes. Our research centres specialise in a number of areas; we study international and Russian experience, offer consulting services and develop different academic programmes and courses. 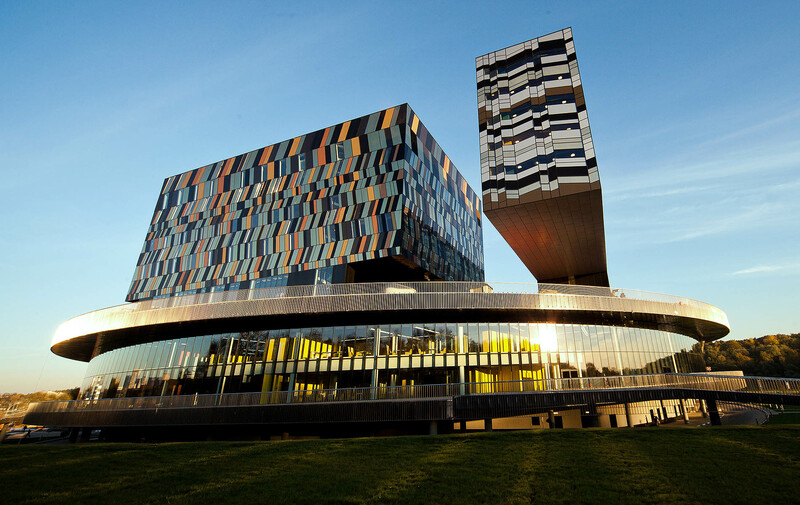 Campus of the Moscow School of Management SKOLKOVO is a modern venue which allows to run all kinds of business events. I am sure that you will remember your time at the business school as one of the brightest and most interesting periods of your life. Today, the nation needs modern managers with comprehensive leadership skills more than ever before. The country needs the SKOLKOVO alumni. Moscow, December 5, 2018 — The EMBA-28 class with a record number of participants started training at the SKOLKOVO business school. The new group consists of 57 people—the largest class to be trained under this programme in the history of the business school. The number of the region’s schools that are accredited by the AMBA, AACSB and EFMD’s Equis awarding bodies has increased by 150 per cent over the past decade, from 14 to 35. Andrei Sharonov, president of the Moscow School of Management SKOLKOVO, comments on this. How the SKOLKOVO business school and Monocities Development Fund went about solving a nationwide problem and bringing new life to territories long forgotten. The case has become the gold winner of the 2018 excellence in practice awards. BE in Trend (Business Education Trends) is the official publication of the Moscow School of Management SKOLKOVO. It is live online and published as a magazine twice a year. Be in Trend Online is devoted to current and future trends in business education, management and professional development. We aim at keeping our readers updated on the most interesting publications and research by world leading experts and SKOLKOVO faculty. Be in Trend Online is devoted to current and future trends in business education, management and professional development. Check our news archive! If you are a mass media representative, want to cooperate with us or need any additional information, please contact our press centre. The SKOLKOVO Campus is a one-of-a-kind architectural work, based on the renowned Russian avant-garde artist Kazmir Malevich’s painting “Suprematism”. British architect David Adjaye and his team were selected to translate the concept into reality. Taking the Russian climate into account, Adjaye intentionally avoided the traditional college campus layout and created a virtually enclosed town, complete with classrooms, cafes, streets and squares—all inside of the Disk, the platform on which administrative and hotel units are based. The campus has been recognized as one of the most beautiful universities in the world. It contains a fusion of cultures and simultaneously reflects the futuristic nature of the school. Please, leave your name and email address and our consultant will contact you in less than 24 hours.